Driven by quality. Fuelled by innovation. Dedicated to service. Paterson GlobalFoods (PGF) is a multinational conglomerate with an esteemed international reputation founded on meeting the high-demand needs of the world’s largest and most discerning agricultural buyers. Utilizing its expertise in agriculture, food, transportation and finance PGF has established a sophisticated global trading network directly benefiting its suppliers and buyers. Please visit the pages below to learn more about our companies. Truck Freight International Ltd. (“TFI”) is a modern trucking company specializing in all aspects of handling and transportation of bulk commodities for the agricultural industry. 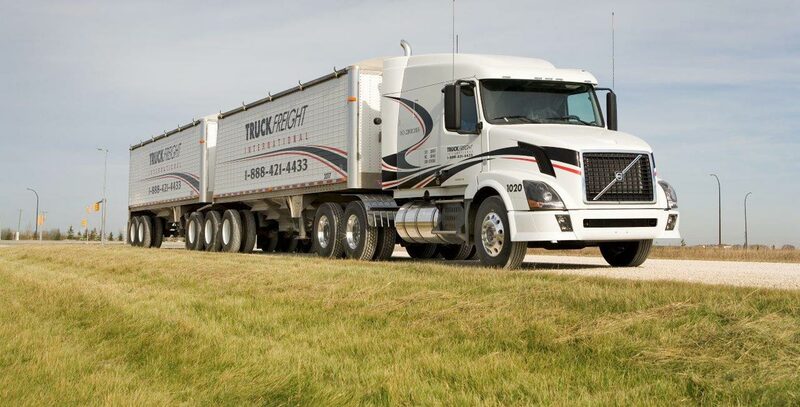 TFI’s asset based bulk commodity fleet is strategically positioned across western Canada and the northern United States in an intentional effort to provide a superior customer service experience to its clientele. TFI is proud to offer its customers an expanding variety of transportation solutions including third party logistics support facilitated either directly through TFI or through one of TFI’s many top-quality affiliates. Please visit TFI’s website or contact TFI directly to explore how TFI can provide an answer to your transportation and logistics needs. LEGAL | CONTACT | © Copyright 2019 Paterson GlobalFoods Inc. All rights reserved.